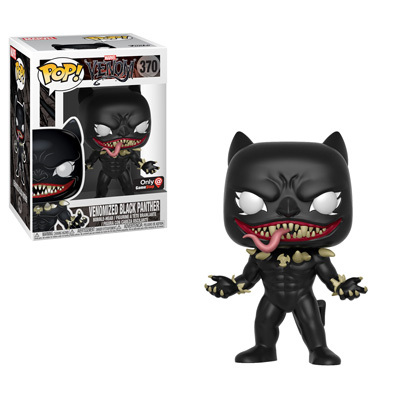 Home Merchandise Funko News New GameStop Exclusive Venomized Black Panther Pop! Vinyl Now Available for Pre-order! As announced earlier today, there is a new GameStop Exclusive Venomized Black Panther Pop! Vinyl on the way. That Pop! Vinyl is now available for pre-order on GameStop.com and will be released on August 1. Click on the link or photo below to pre-order the new Pop today! Previous articleCarnival Graveyard: Rust In Pieces is Coming to Halloween Horror Nights 2018! Not spending intimate time together is really a manifestation of marriage trouble then one that could lead to other problems. when couples don’t know how to approach their problems. I am not saying your content isn’t solid, however suppose you added a headline to maybe grab a person’s attention? I mean New GameStop Exclusive Venomized Black Panther Pop! to get people interested about what you’ve written. In my opinion, it would bring your website a little livelier. So noww it comews full circle returning to the consumer who may have taken on the role from the blogging site administrator. The readers of that blog must be interested in the overall field of know-how of the blog. accept time tto add real value and make certain your comment goes live. hard enough and we should take advantage of every edge on the market which cann be found to us.